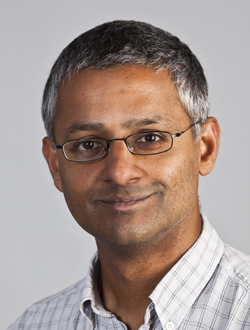 Sir Shankar Balasubramanian is the Herchel Smith Professor of Medicinal Chemistry at the University of Cambridge and senior group leader at the Cambridge Institute. He works on the chemistry, structure and function of nucleic acids. He is a co-inventor of the leading next generation DNA sequencing methodology, Solexa sequencing (now Illumina) that has made routine, accurate, low-cost sequencing of human genomes a reality and has revolutionised biology. He has worked on the identification, elucidation and manipulation of non-coding genetic elements, particularly four-stranded structures called G-quadruplexes. His work on the intervention of nucleic acid function using small molecules has revealed a number of molecular mechanisms that can be exploited, e.g. to modulate the biology of cancer. His more recent contributions include the development of methods for sequencing the epigenetic DNA bases 5-methylcytosine, 5-hydroxymethylcytosine and 5-formylcytosine at single base resolution, as part of a broader investigation of the importance of wider, natural DNA alphabet. His collective contributions span fundamental chemistry and its application to the biological and medical sciences. Professor Benoit acquired a solid foundation in the domain of micro and nanoencapsulation. At the School of Pharmacy of Angers, he is teaching Pharmaceutics. In parallel, he created in 2001 a highly competitive research group at the international level, Mint (INSERM/CNRS), that he headed up until 2017. He was recognized as an AAPS Fellow in 1994. He received the PSWC Research Achievement Award (Pharmaceutical Sciences World Congress) in 2010 in New Orleans, from the FIP (International Pharmaceutical Federation) and the Prize of Notoriety from the French National Academy of Pharmacy in 2011. His interest is directed towards therapeutic nanoparticle-based strategies in Oncology that do not rely on the “Enhanced Permeability and Retention” effect such as nano-immunotherapy. 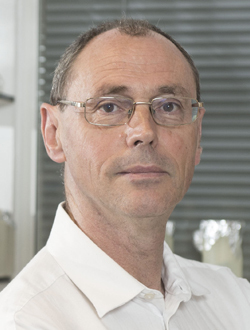 Mark is currently a Professor of Chemical Biology at the University of Edinburgh as well as holding an Honouree position at the Queens Medical Research Centre. Mark received his doctorate from the University of Oxford in 1989, followed by post-doctoral studies at Harvard and returning to the UK as a Royal Society University Research Fellow (University of Southampton). In 1997 he was made a Professor of Combinatorial Chemistry setting up the UK’s Centre for Combinatorial Chemistry. 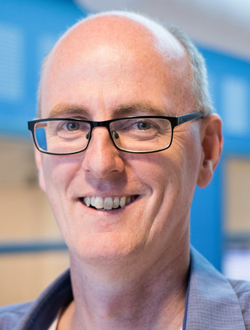 In 2005 he moved to the University of Edinburgh, where he is now Director of Proteus - a £15M Interdisciplinary Research Collaboration in the area of Optical Molecular Imaging. He is also PI on a Doctorial Training Centre (60PhD) in Optical Imaging with Entrepreneurship and holds an ERC advanced grant on “SmartMaterials” for cellular control. He has been elected to fellowships of the Royal Society of Edinburgh and the Royal Society of Chemistry. In 2011 he was awarded the Chancellors Award – the highest research award of the University of Edinburgh. 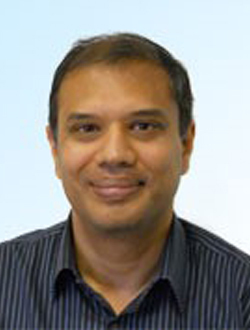 He is a co-founder of Ilika Technologies (2004) (which floated on AIMS in 2010), DestiNA Technologies (2010) and Edinburgh Molecular Imaging (2014). Three research themes dominate in his group at this time: (i). The development of “smart” fluorescent reporters for in vivo based optical molecular imaging. (ii). In vivo catalytic chemistry (iii). The development and exploitation of polymer-based technologies for the identification and application of polymers for controlling and modulating stem cells. 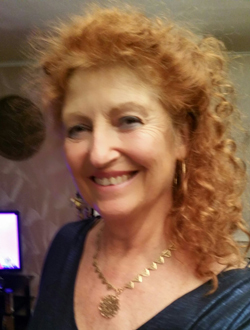 Dr Anne Bruinvels is a digital health & life-sciences entrepreneur and recently was appointed as a NHS Innovation Accelerator Fellow. She founded Px HealthCare (Px stands for Patient Experience), which has launched OWise, the validated mobile app platform providing cancer patients with real time, personalised medical support tools. It collects and analyses the anonymised, real-time Patient Reported Outcome data to improve clinical outcomes in cancer. Prior to setting up Px, Anne founded Curidium, a genomics data-mining company focused on identifying diagnostics and therapeutics to treat patients with central nervous system disorders more effectively. With Curidium's she raised several rounds of angel funding before taking the company public on the AIM of the London Stock Exchange. Prior to founding Curidium, Anne led various research groups at a number of pharmaceutical companies. She has a MSc in Pharmacy (Groningen University) and a PhD from the medical faculty of Utrecht University (the Netherlands). In 2003 she became the London Biotechnology Network’s "Young Entrepreneur of the Year” and since then has received numerous awards for her work with Px HealthCare. Dr Crews is the Lewis Cullman Professor of Molecular, Cellular and Developmental Biology and holds joint appointments in the departments of Chemistry and Pharmacology at Yale University. He graduated from the U.Virginia with a B.A. in Chemistry and received his Ph.D. from Harvard University in Biochemistry. Dr. Crews has a foothold in both the academic and biotech arenas; on the faculty at Yale since 1995, his laboratory pioneered the use of small molecules to control intracellular protein levels. In 2003, he co-founded Proteolix, whose proteasome inhibitor, Kyprolis™ received FDA approval for the treatment of multiple myeloma. Since Proteolix’s purchase by Onyx Pharmaceuticals in 2009, Dr. Crews has focused on a new ‘induced protein degradation’ drug development technology, PROTACs, which served as the founding IP for his latest New Haven-based biotech venture, Arvinas, LLC. Currently, Dr Crews serves on several editorial boards and is an Editor of Cell Chemical Biology. 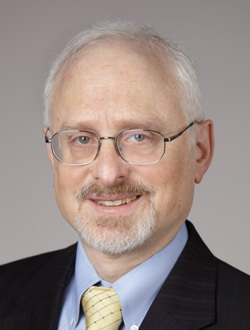 In addition, he has received numerous awards and honors, including the 2013 CURE Entrepreneur of the Year Award, 2014 Ehrlich Award for Medicinal Chemistry, 2015 Yale Cancer Center Translational Research Prize, a NIH R35 Outstanding Investigator Award (2015) and the 2017 AACR Award for Outstanding Achievement in Chemistry in Cancer Research. 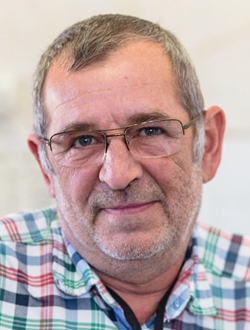 Jean-Alain Fehrentz received his PhD in chemistry from the University of Nancy in 1983 and joined the “Centre CNRS-INSERM de Pharmacologie Endocrinologie” of Montpellier, France in the Professor Bertrand Castro’s group where his research was focused on the renin-angiotensin system. From 1989 to 1992, he was appointed as researcher in Sanofi Research and then moved to the School of Pharmacy of Montpellier under the direction of Professor Jean Martinez. He is currently holding a CNRS Research Director position at the Institut des Biomolécules Max Mousseron (IBMM, UMR 5247). His research interests are the following: -Synthesis of peptides, peptide aldehydes, pseudo-peptides and peptidomimetics, -High-throughput chemistry, building blocks for combinatorial chemistry, new linkers, -RCPG ligands (agonist, inverse agonist, antagonist) and more precisely ghrelin and bombesin receptors. 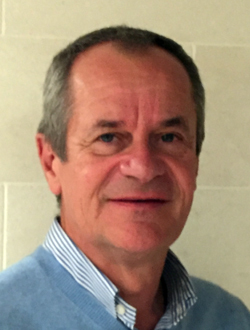 Dr Jean-Luc Galzi is currently 1st Class Research Director at CNRS, Director of the Research Institute of the School of Biotechnology (http://bsc.unistra.fr/) and principal investigator in chemical biology of chemokines and their receptors. He received his PhD. from the University of Strasbourg in biorganic chemistry (1987). After two years post-doctoral position in the Pasteur Institute he got a position at the CNRS as a research associate in molecular neurobiology and worked for six additional years on the functional architecture of ligand-gated ion channels, during which he contributed to the identification of the neutrotransmitter binding site, to the aminoacids that delineate the ion channel and provide its ion selectivity, as well as on the allosteric regulation of ion channel opening by agonists and allosteric effectors. In 1995, he joined the school of biotechnology where he was the first to monitor in real time the binding of an agonist and the associated response on a G protein-coupled receptor and identified the first allosteric effector that was capable of dissecting intracellular signaling in this category of receptors. His current interests are the development of chemical biology with strong links with academic chemical libraries, screening platforms, chemoinformatics and preclinical ADME studies. Research in his group focus on chemotactic cytokines (chemokines), that are involved in inflammation as well as in immune response regulation. He develops techniques to identify decoy molecules that abolish inflammatory responses as potential approaches to treat chronic inflammation and related pain. . Between 2012 and 2017 he was member of the National Committee for scientific research (CNRS) Section « pharmacology ». Since 2017, he is "Chargé de Mission" for the Institute of Chemistry of the CNRS and Expert for the Interorganism thematic Institute in "Health Technologies » (ITMO TecSan). Ganesan graduated with a BSc (Hons) in Chemistry from the National University of Singapore and a PhD from the University of California-Berkeley supervised by Clayton H. Heathcock. After postdoctoral research with Gregory Verdine at Harvard University, he was a Senior Research Chemist at the Centre for Natural Product Research, Singapore (1993-96) and Principal Investigator at the Institute of Molecular and Cell Biology, Singapore (1996-99). In 1999 he joined the University of Southampton as a Reader in the Combinatorial Chemistry Centre for Excellence. 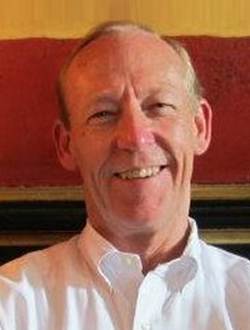 In 2011 he became the Chair of Chemical Biology at the University of East Anglia’s School of Pharmacy. His research focuses on chemical biology, medicinal chemistry and organic synthesis. Ganesan is co-founder of the drug discovery company Karus Therapeutics, Chair of the EU COST Action CM1406 Epigenetic Chemical Biology and a member of the IUPAC Subcommittee for Medicinal Chemistry and Drug Development and the RSC Biological & Medicinal Chemistry Sector. Peter Gmeiner’s research spans the structure-guided design, organic synthesis and pharmacological investigation of bioactive molecules addressing aminergic and peptidergic G-protein coupled receptors (GPCRs). Within these studies, the following topics are of special interest: Covalent and slowly diffusing ligands for GPCR crystallography, design and synthesis of novel subtype selective GPCR agonists, partial agonists and antagonists including novel antipsychotic and anti-Parkinson-active agents, development of radioligands for PET and SPECT, efficacy tuning and mechanistic studies on G-protein coupled receptors (GPCRs) involving wild-type and mutant receptors, molecular modelling of GPCRs, fancy bioisosteres for G-protein coupled receptors, development of bivalent ligands for GPCR dimers, single molecule detection of GPCR-ligand complexes by TIRF microscopy, peptidic und non-peptidic neurotensin receptor ligands, solid phase supported methodologies and their application for the discovery of GPCR ligands, ß-turn inducing peptide mimetics. Prof. Dr. Peter Gmeiner (*30.05.1959) received his Ph.D. in 1986 from the University of Munich. From 1987 to 1988 he was a postdoc at the University of California in Berkeley, USA. He subsequently returned to Munich as a research associate at the Institute of Pharmaceutical Chemistry. Upon receiving his Dr. Habilitus in 1992, for which he was honored with the Johann-Wolfgang-Döberreiner prize of the DPhG (1993), he was appointed at the University of Bonn as a Professor of Pharmaceutical Chemistry declining an offer for a professorship at the University of Heidelberg, at the same time. Since October 1996, he has been chaired Full Professor of Pharmaceutical / Medicinal Chemistry at the Friedrich-Alexander University Erlangen-Nürnberg. In 2000, he declined an offer for the Chair for Pharmaceutical Chemistry at the University of Münster. From 2000 to 2002, he was Senator at the University of Erlangen-Nürnberg. 2003-2010, he was a board member of the Medicinal Chemistry Section of the German Chemical Society (GDCh). Since 2008, Peter Gmeiner is chairman of the Pharmaceutical / Medicinal Chemistry Section of the German Pharmaceutical Society (DPhG). 2008-2012, he was the speaker of the Emil Fischer Graduate Programme in Pharmaceutical Sciences & Molecular Medicine (EFS). Together with Armin Buschauer (University of Regensburg), Peter Gmeiner is spokesman of the Research Training Group "Medicinal Chemistry of Selective GPCR Ligands" (GRK 1910). Peter Gmeiner is a co-founder and consultant of the company Epiodyne, Inc.
Véronique Gouverneur secured a PhD in chemistry at the Université Catholique de Louvain (LLN, Belgium), under the supervision of Professor L Ghosez. In 1992, she moved to a postdoctoral position with Professor R Lerner at the Scripps Research Institute (California, USA). She accepted a position of Maître de Conférence at the University Louis Pasteur in Strasbourg (France). She worked with Dr C Mioskowski and was Associate Member of the ISIS Institute directed by Professor J-M Lehn during this period. 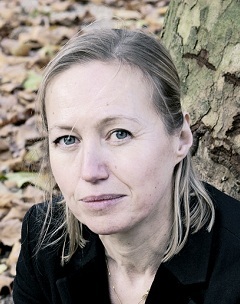 Veronique started her independent research career at the University of Oxford in 1998 in the Chemistry Faculty and was promoted to Professor of Chemistry in 2008. Her research aims at developing new approaches to address long-standing problems in the synthesis of fluorinated molecules including pharmaceutical drugs and probes for imaging (Positron Emission Tomography). To date, she has mentored more than 30 Postdocs and supervised 40 PhD (= DPhil in Oxford) to completion. Since her appointment in Oxford, she holds a tutorial fellowship at Merton College Oxford where she teaches organic chemistry. She has coordinated European ITN projects (currently H2020-MSCA-ITN-2016, FLUDD), and is the (co)author of > 170 peer-reviewed publications and 10 patents. Her research has been rewarded by numerous prizes and distinctions (e.g. 2015 ACS Award for Creative work in Fluorine Chemistry, RSC Tilden Prize 2016, and Tetrahedron Chair 2016). 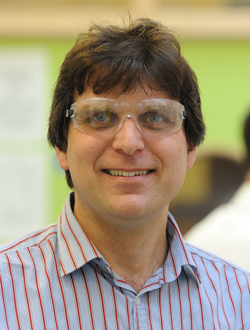 Dr Alexander Heifetz (m) is a former Royal Society Industry Fellow and a Principal Scientist in the computational chemistry team at Evotec (UK). In 2001 he obtained his PhD from the Weizmann Institute of Science, Israel, under the supervision of former Israeli president and Foreign Member of the Royal Society Prof Ephraim Katzir and Dr Miriam Eisenstein. As a senior computational chemist Dr Heifetz has more than 17 years of experience in the drug discovery industry (EPIX Pharmaceuticals until 2005, at Biosystem Informatics (BII) Institute Newcastle until 2007 and at Evotec from 2007 - present) and was involved in the discovery of 4 clinical drug candidates for the treatment of anxiety, major depressive disorder, pulmonary hypertension, and Alzheimer’s disease. He has more than 35 patents and more than 40 peer- reviewed publications in the areas of medicinal chemistry and molecular modelling [1-9]. In 2011 he received a Royal Society Industry Award for GPCR modelling and in this framework developed a novel hierarchical GPCR modelling protocol (HGMP) to support structure-based drug discovery programs. HGMP has been applied in many drug discovery programs. In 2018 he edited a book ‘Computational Methods for GPCR Drug Discovery’ published by Springer as part of the “Methods in Molecular Biology” series. Dr. Jacobson is Chief of the Laboratory of Bioorganic Chemistry and the Molecular Recognition Section at the National Institute of Diabetes and Digestive and Kidney Diseases, National Institutes of Health in Bethesda, Maryland, USA. Dr. Jacobson is a medicinal chemist with interests in the structure, ligand design and pharmacology of G protein-coupled receptors, in particular receptors for adenosine and for purine and pyrimidine nucleotides. He earned a B.A. from Reed College and Ph.D. in Chemistry from the University of California, San Diego, and he completed postdoctoral studies in organic chemistry at the Weizmann Institute. Manfred Jung did his PhD at the University of Marburg in 1993, then he worked as a postdoc with T. Durst at the University of Ottawa. From 1994 to 2003 he was a group leader at the University of Münster and obtained his habilitation in Pharmaceutical Chemistry in 2000. Since 2003 he was a Professor of Pharmaceutical Chemistry at the University of Freiburg and since 2011 he is Full Professor there. In 2011/12 and for 2016/17 he was appointed as Senior Fellow at the Freiburg Institute of Advanced Studies (FRIAS). Prof. Jung is currently the dean of the Faculty of Chemistry and Pharmacy. The topic of his research is Chemical Epigenetics with a major focus on histone modifying enzymes. His group is working on inhibitor synthesis, assay development and screening for inhibitors of reversible histone acetylation and methylation, as well as methyl-lysine reader proteins. Since 2014, Prof. Thierry Langer is heading the Department of Pharmaceutical Chemistry at University of Vienna, Austria. His research interests span a broad field from organic synthesis and medicinal chemistry to the development and application of computer-aided molecular design software. His scientific work is documented in more than 190 articles in peer reviewed journals. Before joining University of Vienna, he was CEO of Prestwick Chemical in Strasbourg, France, CEO of Inte:Ligand GmbH in Vienna, and associate professor at University of Innsbruck Austria. He holds a PhD from University of Vienna. 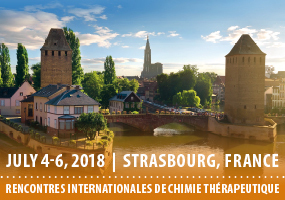 The aim of our work is to conduct in-depth fundamental research into the organisation and functional role of peptidergic systems involved in the control of body fluid homeostasis and cardiovascular functions in order to identify new potential therapeutic targets for the treatment of water disorders and cardiovascular diseases. We studied either the brain renin-angiotensin system (RAS) or the apelin system. These studies allowed to identify the enzymes involved in the metabolism of these peptides and the receptors on which these peptides act. By a transversal approach bringing together modelers, chemists and biologists, we designed and synthesized compounds acting on these new targets and investigated their biological effects. This work allowed to patent several molecules of therapeutic interest, one of them in clinical trial Phase IIb in hypertensive patients. María Luz López Rodríguez studied Chemistry and obtained her PhD from Universidad Complutense de Madrid (UCM). After a postdoctoral stay in the Sloan Kettering Institute and Florida University (USA) with a Fulbright Grant, she joined the Department of Organic Chemistry at UCM where she started her independent career as the leader of the Medicinal Chemistry Laboratory. In 2004 she was promoted to Full Professor of Organic Chemistry in this University, position that she currently holds. Since November 2017 she is head of the Department of Organic Chemistry at UCM. Her research is focused on the Medicinal Chemistry and Chemical Biology fields, including the design and development of small molecules in challenging therapeutic targets related to cancer and central nervous system as well as the development of chemical platforms for the identification of new therapeutic targets. She has published 142 original research articles in prestigious journals (Science, Nature, Nature Neuroscience, J. Neurosci., Clin. Cancer Res., Mol. Pharmacol., J. Med. Chem., J. Am. Chem. Soc., Angew. Chem. Int. Ed., J. Biol. Chem, J. Allergy Clin. Immunol....) and she is an inventor of 12 patents in current exploitation by the pharmaceutical industry. In addition to this research profile, during her academic trajectory she has supervised 27 PhD students and trained numerous postdoctoral researchers. 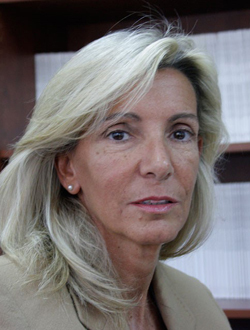 She is also Associate Editor of different journals in the Medicinal Chemistry field and has received the Medal of the Royal Academy of Medicine (2011) and the Award in Excellence Research (Spanish Royal Society of Chemistry, 2014). Born in 1975 in France, Christel received an MPhil. in 1999 and a Ph.D. in 2002 both in organic chemistry at the Manchester University, in the UK. During her Ph.D., she was author of 8 publications. She then started her industrial carrier at EvotecOAI, where she developed her expertise in parallel synthesis. Quickly, she joined Faust pharmaceuticals for a new position in 2004, where she did her initiation to medicinal chemistry and neurodegerative diseases, looking for active drugs for mGluRs. She then moved to new challenges at Galapagos. Her carrier at Galapagos was paved with successes including the discovery of 6 active small molecules, which moved to preclinical studies. 3 compounds were tested in phase I clinical trial with a positive proof of mechanism. From these 3, 2 are currently in phase II, GLPG0778 and GLPG0634. The two compounds already showed promising results, Psoriasis for GLPG0778 and RA for GLPG0634. GLPG0634 was the first selective JAK1 inhibitor in clinical trials in inflammatory and auto-immune conditions. She is today CSO of a spin-off company, Confo Therapeutics and she is inventor of more than 20 patents. My main research group centres on the function, structure and regulation of G protein-coupled receptors (GPCRs) and their interacting proteins. I have published more than 500 peer-reviewed articles on these topics. My research has been cited more than 22,000 times and I am a Thompson Reuters 2014 and 2016 Highly Cited Researcher (http://highlycited.com/). Professor Gary Molander completed his undergraduate studies at Iowa State University under the tutelage of Professor Richard Larock. He earned his Ph.D. at Purdue University under the direction of Professor Herbert Brown and undertook postdoctoral training with Professor Barry Trost at the University of Wisconsin, Madison. He began his academic career at the University of Colorado, Boulder, moving to the University of Pennsylvania in 1999, where he is currently the Hirschmann–Makineni Professor of Chemistry and Chair. His research interests focus on the development of new synthetic methods for organic synthesis using organotrifluoroborates and organobis(catecholato)silicates and the use of borazines as isosteres of all-carbon aromatic systems. Stephan Schann is director of R&D activities at Domain Therapeutics, a biopharmaceutical company focusing on GPCR drug discovery and early development. He is responsible for both internal and collaborative programs involving the different proprietary technology platforms used at Domain. Before, Stephan spent 6 years at Faust Pharmaceuticals, a CNS clinical biopharmaceutical company, where he set up the medicinal chemistry activity. 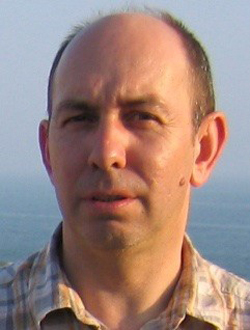 Prior to his position at Faust, Stephan was Team Leader at EvotecOAI, Abingdon, UK from 2001 to 2003. 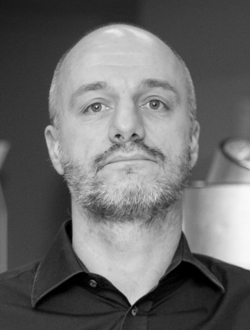 Stephan received his PhD from University de Strasbourg, France in 2001 working on the synthesis of the first imidazoline I1-selective ligands. Patrick Schnider is Expert Scientist and pre-clinical project leader at the Roche Innovation Center Basel. He is an inventor and co-inventor of 6 compounds which progressed to clinical studies, including the marketed neurokinin 1 receptor antagonist Netupitant for the prevention of chemotherapy induced nausea and vomiting. Beyond project work Patrick has acted as a team leader and member in several interdisciplinary global working groups in the fields of multi-parameter optimization and corporate screening library. He has also been a member of the team that conceived and developed the Roche medicinal chemistry knowledge database ROCK. Before joining Roche as a lab head in Medicinal Chemistry in 1998, Patrick received his training as a chemist from the University of Basel, the Max-Planck-Institute für Kohlenforschung and the California Institute of Technology. 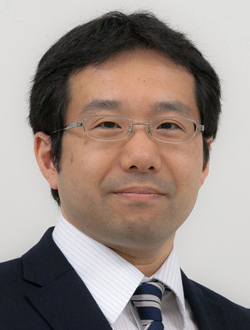 Dr Katsunori Tanaka has developed new lysine labeling methods, either by fluorescence or positron emitters for PET, based on his rapid 6Pi-azaelectrocyclization. He efficiently labeled various glycoconjugates (e.g., glycoproteins, glycoclusters, and cell surfaces expressing diverse N- glycan structures) and successfully imaged the glycan - dependent dynamics in live animals (i.e., circulatory residence, organ-specific accumulation, trafficking, and metastatic potential). Alternatively, Dr Tanaka has synthesized complex-type sialo-N-glycan by efficiently performing the glycosylation (i.e., a-sialylation, B-mannosylation, and N-glycosylation) both on solid supports and inside microfluidic devices. His research interests include a wide range of natural products fields at the interface of chemistry and biology. For example, exploring new synthetic methods for total synthesis either in microfluidics, live cells, or animals, configurational analysis, biological evaluation, molecular imaging, and molecular recognition of natural products including glycoconjugates. Development of peptide therapeutics using internal and external resources. Exploratory research on intracellular delivery and oral bioavailability of peptides. Julie Charton graduated as an engineer in chemistry in 2001 from the Ecole Nationale Superieure de Chimie de Lille (ENSCL). 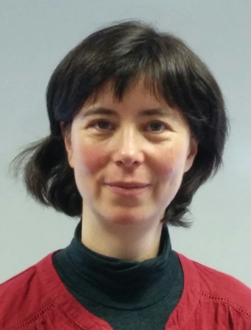 After her PhD on medicinal chemistry in 2004 under the supervision of Pr Sergheraert (UMR8525, Institut de Biologie de Lille), she worked, as a postdoctoral researcher, on the conception and synthesis of ligands of zinc metalloproteases in Pr Benoit Deprez’ laboratory. Since 2007, she is assistant professor in organic chemistry at the Faculty of Pharmacy of Lille. 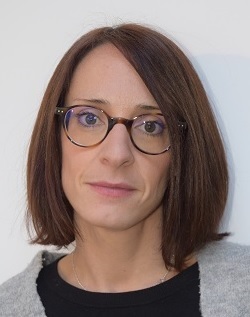 Her research at INSERM U1177 "Drugs and Molecules for Living Systems” (INSERM & Pasteur Institute & Univ Lille) since 2010, focuses on the development of intestine-targeted agonists of the bile acids receptor TGR5 by innovative chemical engineering. Rutger Folmer is Director of Medicinal Chemistry at Mercachem in Nijmegen, The Netherlands. He is accountable for a variety of medchem projects in the hit to lead and lead opt stages. Mercachem is a chemistry CRO with a medchem department of about 50 staff, where a dozen of customer projects are executed at any given time. Rutger recently joined Mercachem from AstraZeneca in Sweden, where he headed the biophysics section, and also held a portfolio management role in the Respiratory, Inflammation and Autoimmunity disease area. His background is in biophysical chemistry, while recent experience is in structural biology and fragment-based lead generation. 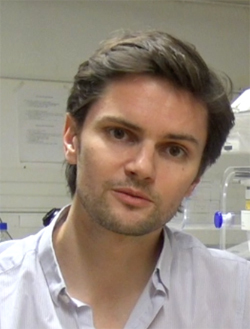 Arnaud Gautier is a chemical biologist working at the department of chemistry of the École Normale Supérieure (ENS) in Paris, where he develops innovative methods and probes for imaging biomolecules in cells. He studied chemistry at the ENS Lyon, where he received a PhD in chemistry in 2005 for his work on transition-state analogs of peptidolysis with Jens Hasserodt. In 2006, he joined the group of Kai Johnsson at the École Polytechnique Fédérale of Lausanne where he developed methods for labeling fusion proteins and studying protein-protein interactions with synthetic probes in living cells. Then, in 2009, he joined the group of Jason W. Chin at the MRC laboratory of Molecular Biology in Cambridge (UK), where he developed approaches for controlling cell signaling events by light actuation using unnatural amino acid incorporation technologies. He joined ENS as Maître de Conférences in 2010. Arnaud Gautier is laureate of an ERC consolidator grant (2016) and of the 2017 CNRS bronze medal. Julien Pothier is Associate Director, Principal Scientist in Medicinal Chemistry Oncology at Idorsia Pharmaceuticals, Switzerland. He received his PhD in 1999 under the supervision of Prof. Samir Zard at Ecole Polytechnique working on the radical chemistry of xanthates. Later he moved to University College London (Prof. William B. Motherwell) to study the properties of a new type of imprinted polymers. 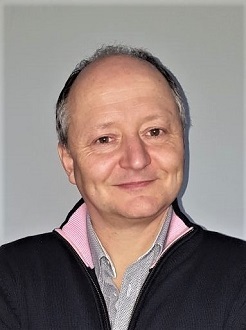 After a second post-doctoral position at Stuttgart’s University (Prof. Volker Jäger) where he worked on fucosidase inhibitors he joined Axovan AG. later acquired in Sept. 2003 by Actelion Pharmaceuticals Ltd. In the Medicinal Chemistry Department of Actelion, now Idorsia Pharmaceuticals, he worked as a laboratory head and later project leader on several drug discovery programs based on GPCR’s inhibition covering indications, such as asthma, inflammation, sleep disorders, and oncology thereby participating in the selections of 2 clinical candidates. 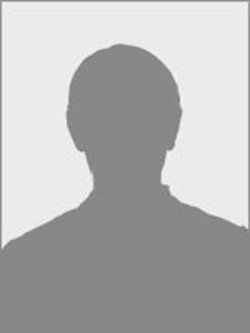 He is the author of 20 publications or patents. Dr Carsten Schmeck is Principal Scientist at BAYER AG, Division Pharma, Medicinal Chemistry Wuppertal. He studied chemistry in Göttingen in Germany, receiving his diploma from Prof. Dr. U. Schöllkopf in 1988. Carsten got his Ph.D in 1991 from Prof. Dr. U. Groth working on an asymmetric synthesis of non-proteinogenic amino acids and dipeptides. From 1992 to 1994 he joined the group of Prof. Dr. L.S. Hegedus in Fort Collins, Colorado working chiral amino chromium carbene complexes and their use in the synthesis of amino acids. 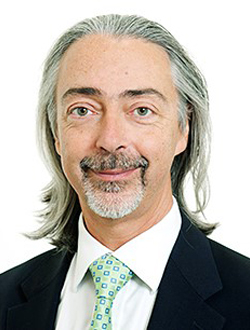 He joined BAYER in 1994, working on projects in the fields of atherosclerosis and lipid disorders, peripheral vascular disease, heart failure and since 2014 in kidney diseases. 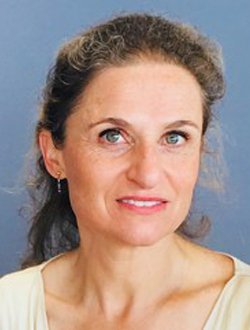 Dr Isabelle Texier graduated from Ecole Normale Supérieure de Lyon in 1996 and obtained her Ph. D. in photo-chemistry in 1999 from Ecole Normale Supérieure de Cachan (Ph. D. award from the physical-chemistry division of the French Chemical Society). After a post-doctoral position at the Superior Technical Institute of Lisbon on the phototherapeutic properties of functionalized fullerenes, she joined CEA-LETI in 2001, where she is presently a CEA Senior expert fellow. Her first thematic was focused on DNA fluorescence detection and manipulation on lab-on-a-chip. Since July 2006, Dr. Texier has been project manager in nanomedicine in the HealthCare department of CEATech. She has developed a technology of lipid nanoparticles dedicated to in vivo applications (fluorescence imaging, drug and SiRNA delivery), and is presently involved in biomaterials and drug delivery systems for localized and sustained delivery of chemical or biological drugs.